- You will not loose your documents. - Just scan your documents and attached file in our website. 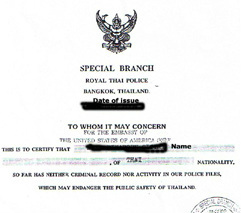 We will send the original CRIMINAL RECORDED CERTIFICATE to you.